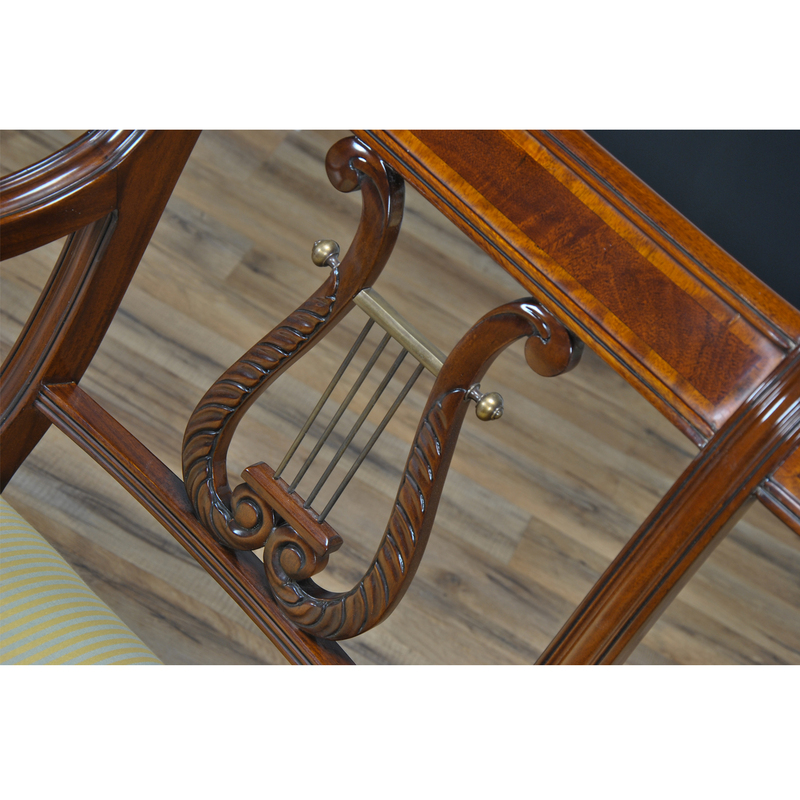 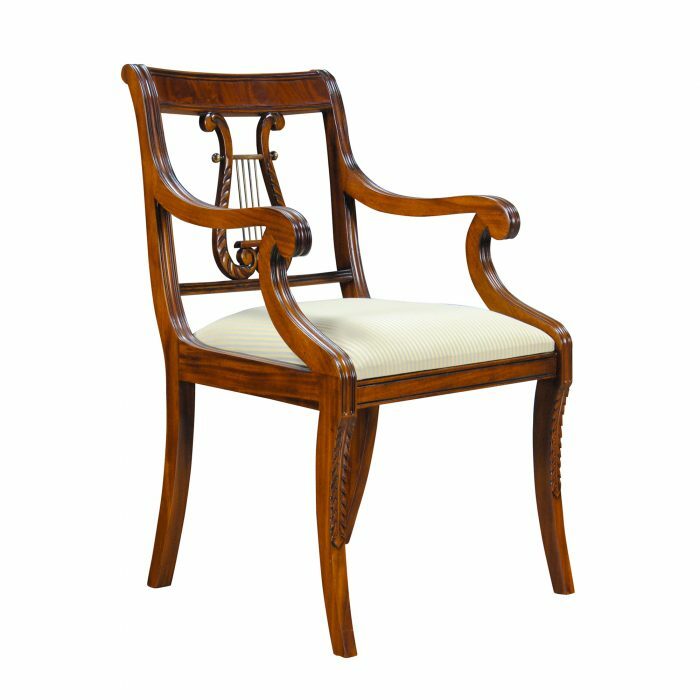 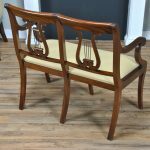 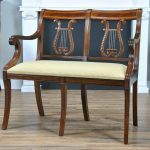 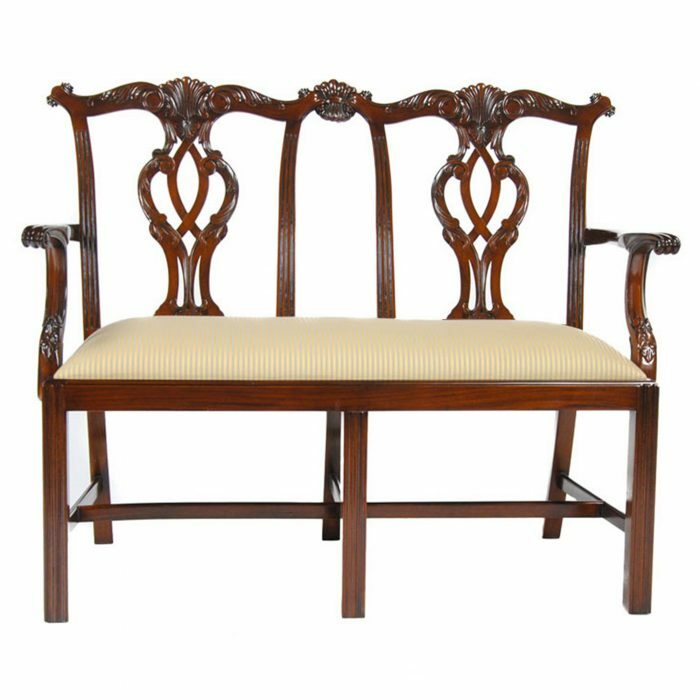 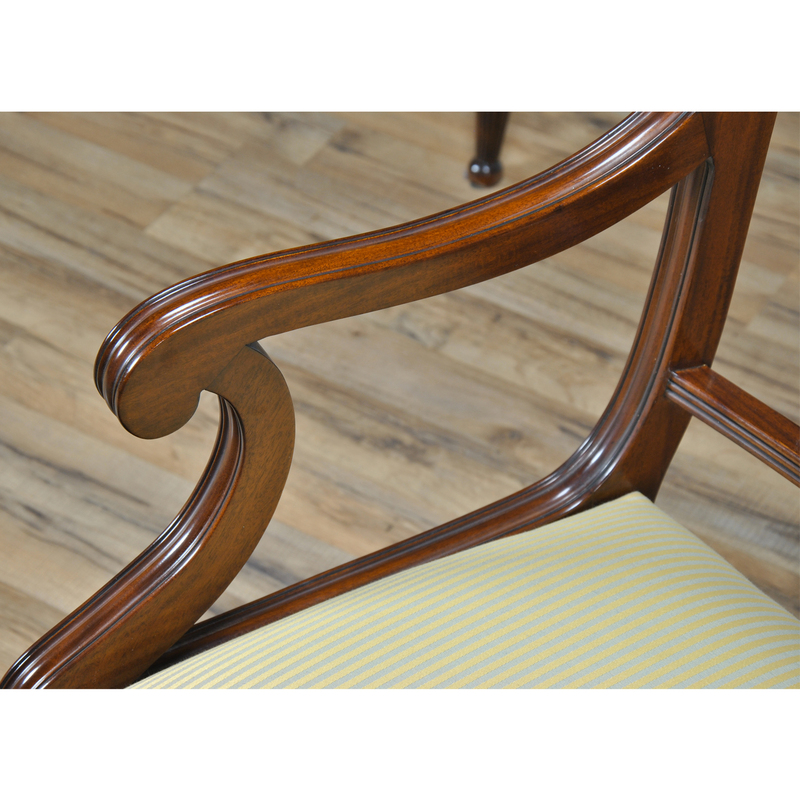 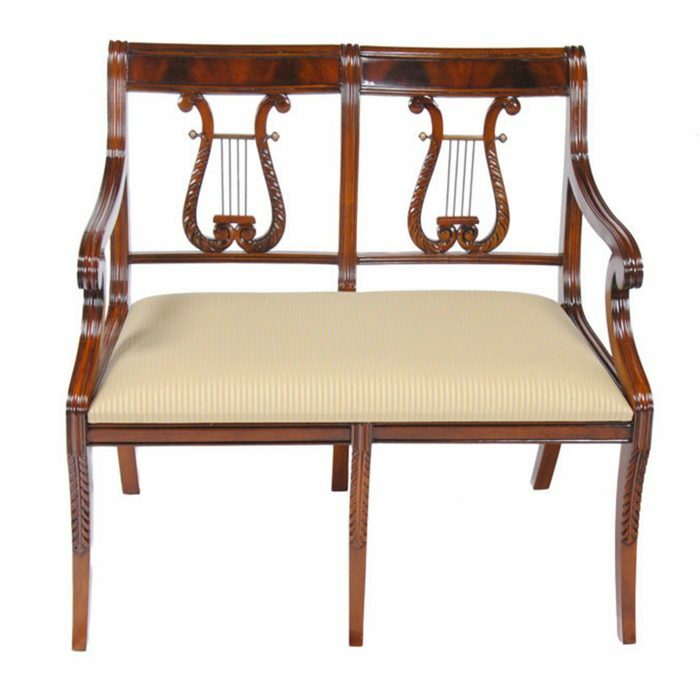 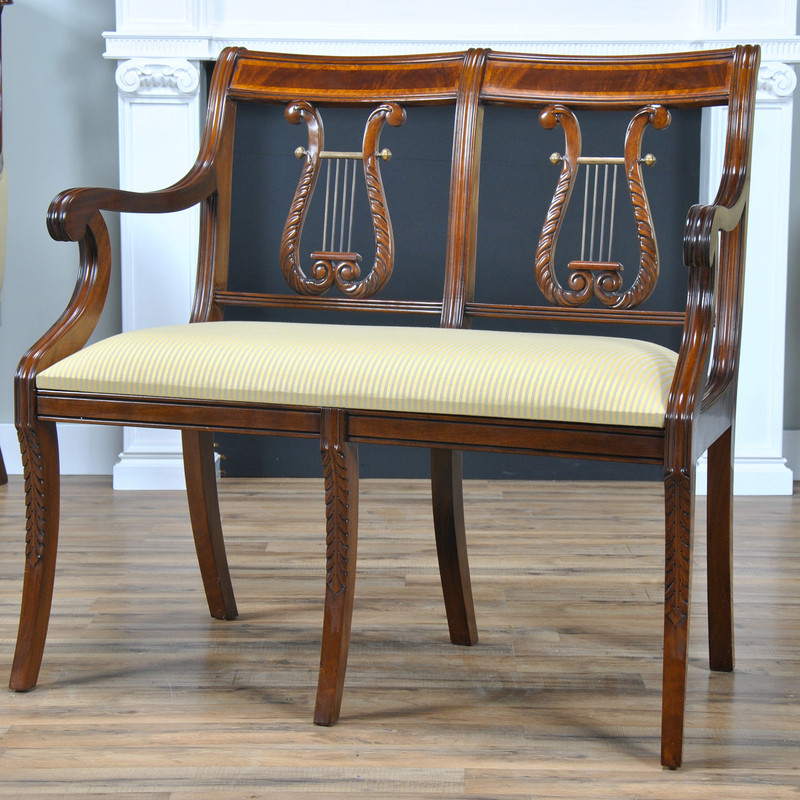 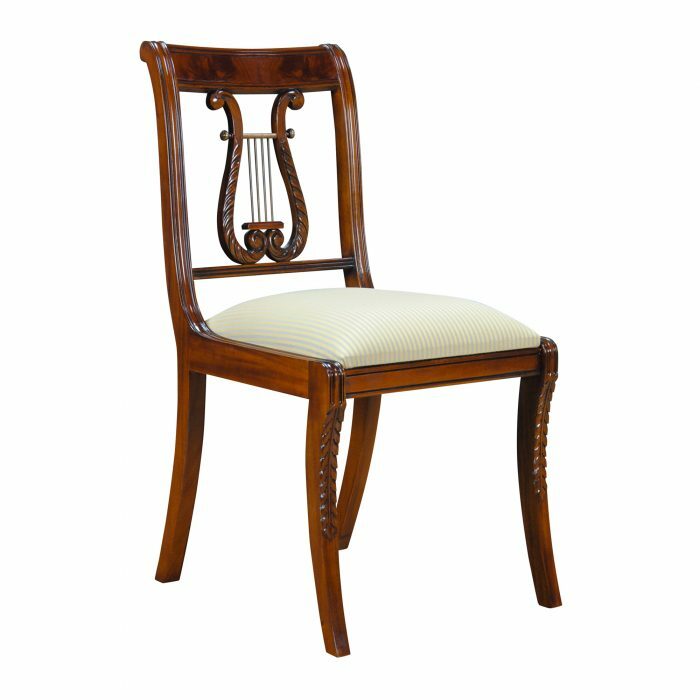 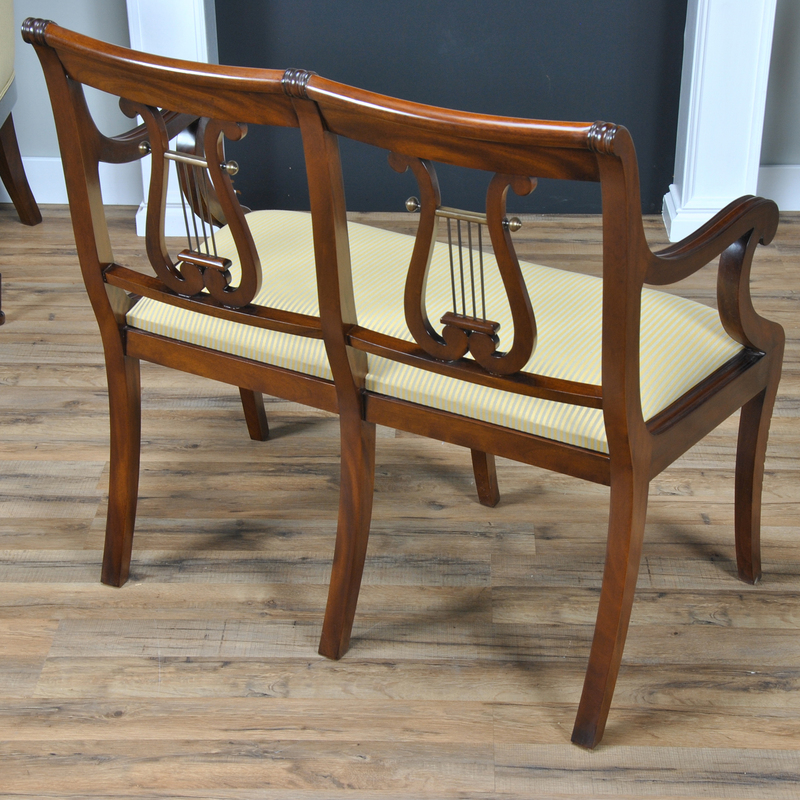 A fine quality, hand carved, solid mahogany Banded Lyre Back Two Seat Chair. 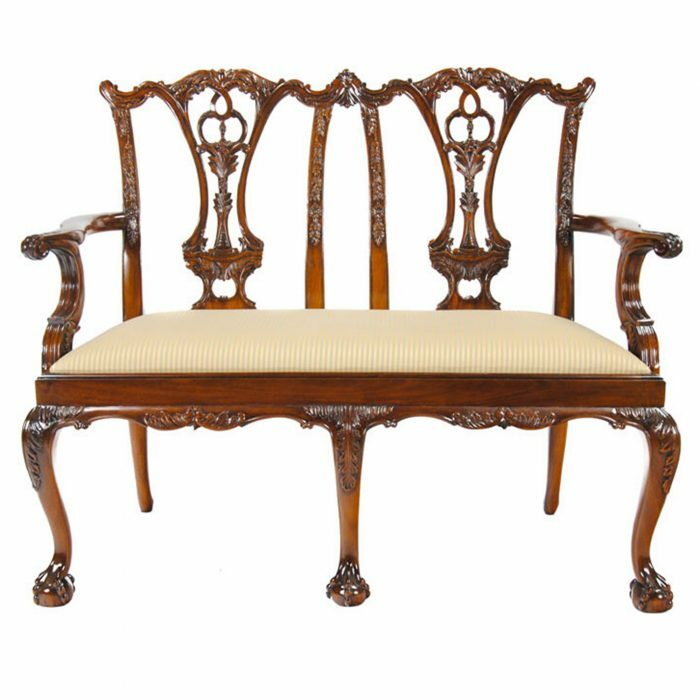 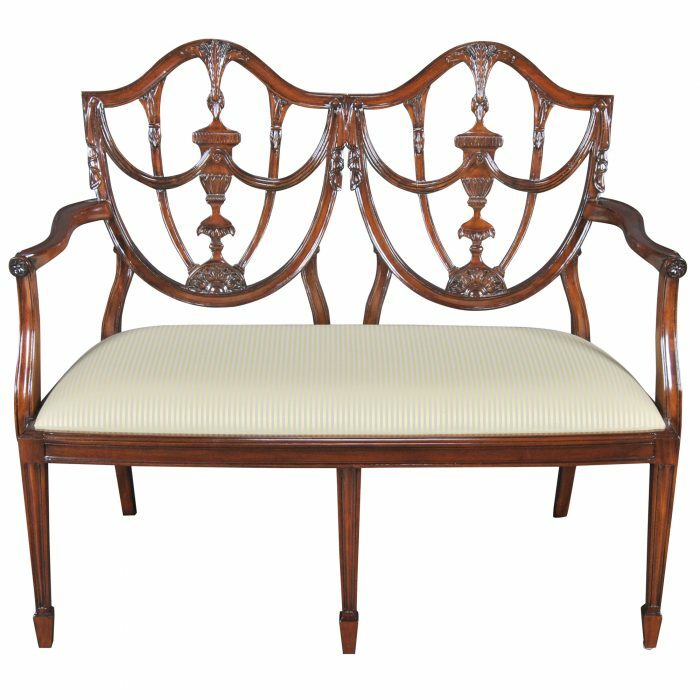 Features include a figural mahogany crest rail surrounded by satinwood banding, lyre carved back splat with brass decorations, and legs featuring federal style carvings similar to those found on high end antiques as designed and executed by Duncan Phyfe. 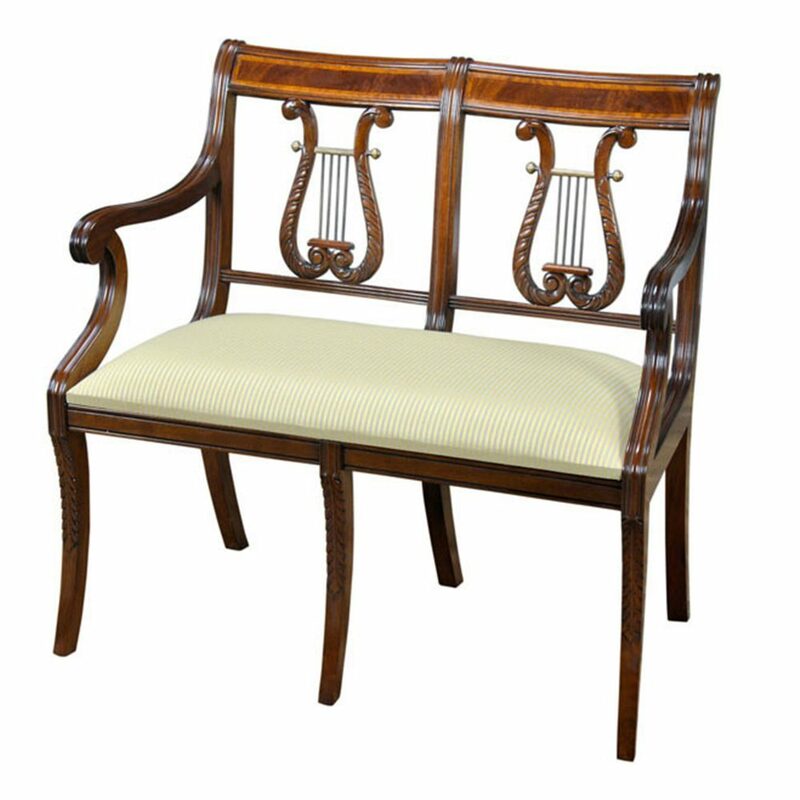 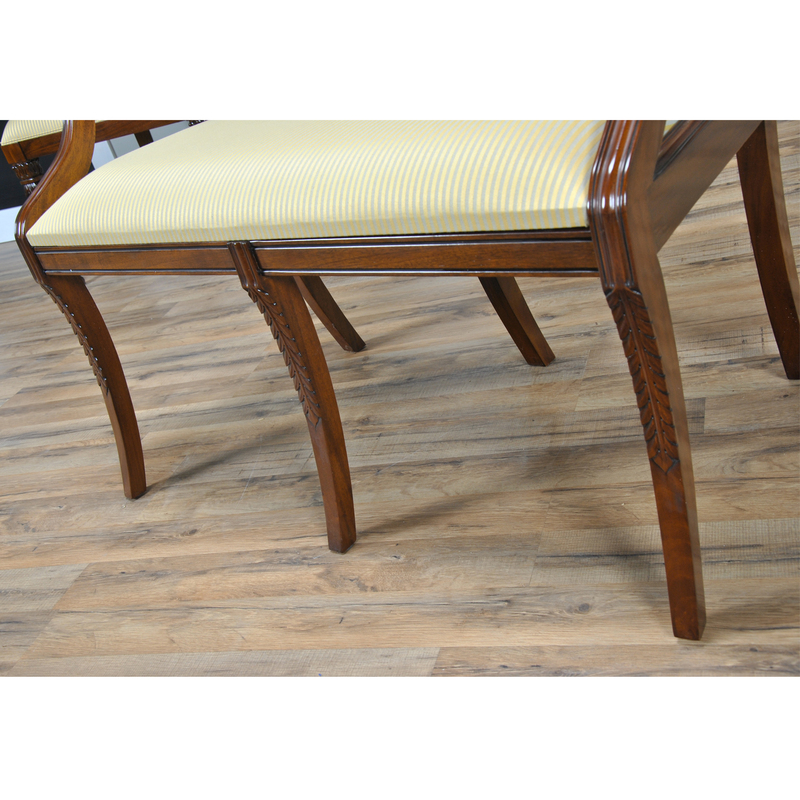 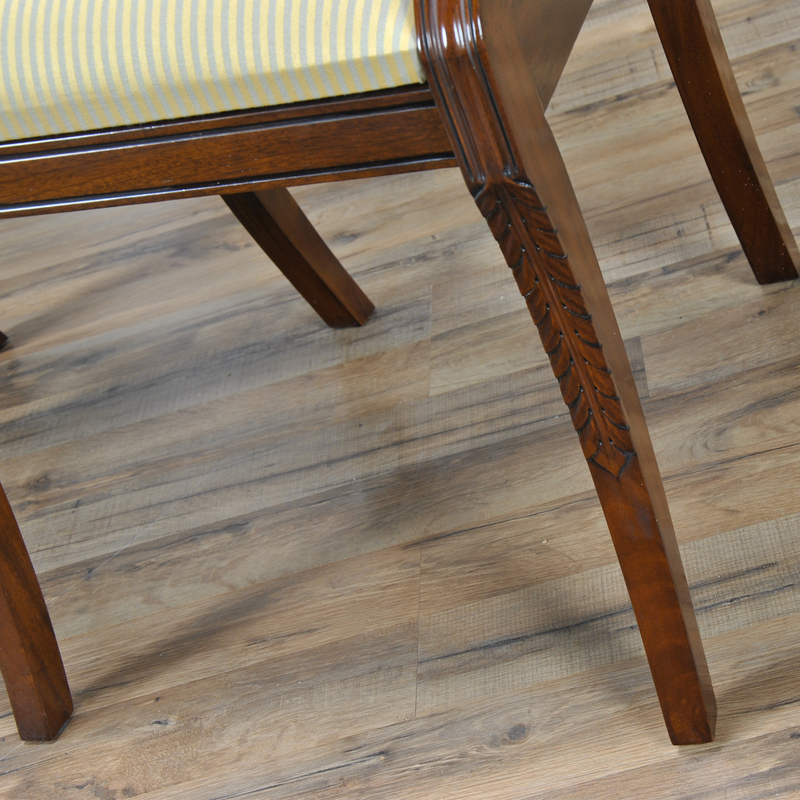 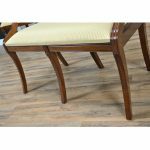 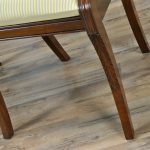 Lovingly finished in warm brown hues and covered with our most popular upholstery the Banded Lyre Back Two Seat Chair is ready to use in your home; the seat is easy to remove with four screws should you decide to change the fabric to match your home’s interior.